Save on a complete qualifying Lennox® home comfort system that includes a gas furnace or blower coil, an air conditioner or heat pump and thermostat. Enjoy additional product rebates when you purchase an iComfort® S30 ultra smart thermostat, iHarmony® zoning and a PureAir™ S air purification system. Enhance your comfort and savings with iHarmony® zoning, room to room temperature control for iComfort®-enabled equipment from Lennox. **Offer available March 11, 2019 to June 14, 2019. Offer based on a retail price of $10,000. Requires purchase of qualifying system. 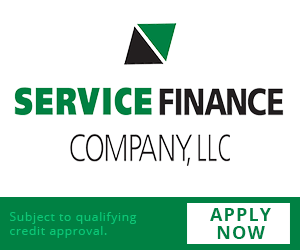 Financing available to well-qualified buyers on approved credit. No down payment required 6.99% APR for 120 months, with equal monthly payments of $116 a month. Normal late charges apply. Cannot be combined with any other promotional offer. Minimum loan amount $3,000. Maximum loan amount $40,000. You may prepay your account at any time without penalty. Financing is subject to credit requirements and satisfactory completion of finance documents. Any finance terms advertised are estimates only. See Truth in Lending disclosures available from lender for more information. **Offer available March 11, 2019 to June 14, 2019. Offer based on a retail price of $10,000. Requires purchase of qualifying system. Financing available to well-qualified buyers on approved credit. No down payment required 6.99% APR for 120 months, with equal monthly payments of $116 a month. Normal late charges apply. Cannot be combined with any other promotional offer. Minimum loan amount $3,000. Maximum loan amount $40,000. You may prepay your account at any time without penalty.Financing is subject to credit requirements and satisfactory completion of finance documents. Any finance terms advertised are estimates only. See Truth in Lending disclosures available from lender for more information.